How many times have you tried to resist the last chocolate chip cookie on the plate and succumbed to your craving? Or, how many times have you tried to resist the scoop of ice cream that has your name on it and ended up with a triple scoop sundae when you are clearly determined to reduce some weight. Or, what about the time you ate the beautifully decorated donut with pink frosting and rainbow sprinkles for lunch? Don’t feel defeated! The sweet dessert always wins! Why? Because refined sugar is a drug! A very powerful drug. It is seductive, addictive, irresistible and insidious—especially when it touches your tongue. It triggers cravings for more! From the moment it hits your taste buds to the second it hits your blood stream, you will be hooked. The problem is, sugar is found everywhere in our food supply: In our cereals, in our ketchup, in our bread and worst of all, in our kitchen pantry. 1. It leads to dopamine release in the brain (directly at the pleasure and reward center), and we develop a tolerance to it, so more is needed to create that sense of pleasure. 2. It tastes so good that that we feel we want a constant supply. 3. It creates a chemical addiction and we feel a rush of pleasure that makes us want to “binge” on it. Sugar creates a similar but lesser effect on the brain as does heroin. And that’s not all, the health problems associated with sugar consumption are numerous. Research has linked excess sugar consumption to dangerous levels of LDL cholesterol (the bad type! ), increased plaque deposits in the arteries, breast cancer, colon cancers and diabetes. High fructose corn syrup—that insidious ingredient found in many salad dressings, ketchup, coffee creamers, etc., has been linked to increased heart disease and stroke. There is evidence that some tumors have insulin receptors that feed on glucose, sucrose, etc. Not to mention that sucrose and glucose are empty calories and have no value other than to create short bursts of energy which immediately wanes. 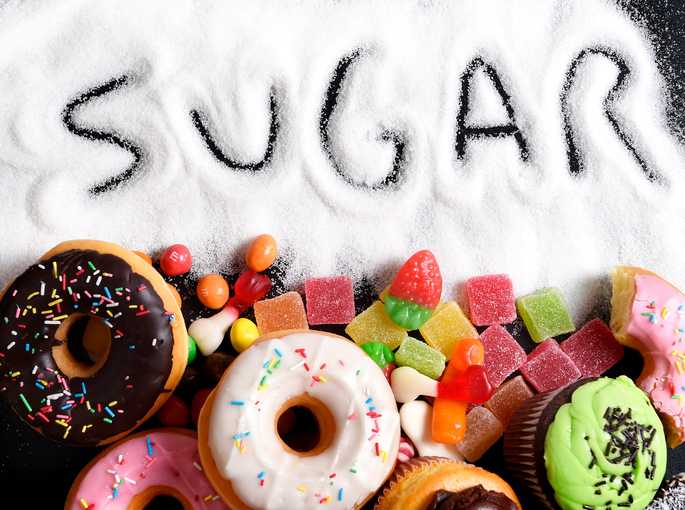 All foods containing refined sugar will produce a spike in insulin levels … and then a quick drop in insulin levels, creating a cycle of blood sugar imbalance. What are we supposed to do? Avoid sugar completely? Stop eating sweets? Bring a microscope with us when we shop so that we can read the fine print on the labels? The best solution is to get your sugar from natural, unrefined sources, like fresh fruit and do not add refined sugar to anything you eat or drink. 1. Stevia: A plant-based sweetener that contains no chemicals and has a minimum impact on blood sugar. 2. Honey: A non-addictive sweetener that has a slightly higher impact on blood sugar. 3. Agave: A non-addictive plant-based sweetener that also has a slightly higher impact on blood sugar. In conclusion … how would you vote? Is sugar a food or a drug? You decide.